Vague goals are killing your business! And they can leave you feeling like a failure as an entrepreneur- and we don't want that. So how can you set better goals as a business owner? Well, darling, The Decorettes are breaking down their goal setting method so you can actually grow your business rather than dream about it! Mecome a Member of The Decorettes VIP Lounge! And a lot more fun- all free for the first month! Sashay Your Way on over and become a vip! If you liked this episode, please subscribe to The Decorettes on YouTube! We'd love it if you left us a comment and gave us a thumbs up! It may seem small, but it will help us get amazing guests for you and keep bringing you the best branding and systems tips each week! 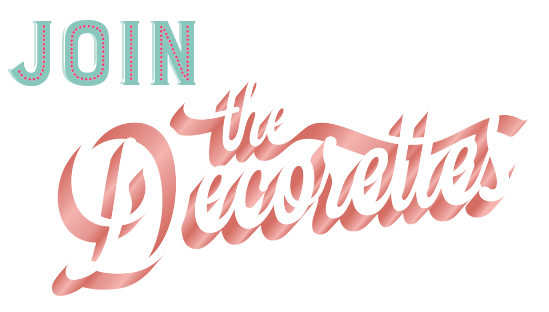 Have a question you want answered on The Decorettes? Submit your questions for us here! Visit Ms. Glamour Nest for all the swanky systems you need! Visit Ms. Paper Moon and boldly go where no brand has gone before! So what are your thoughts on this week's episode, Decorette? LET US KNOW IN THE COMMENTS! WE'D LOVE TO HEAR FROM YOU!